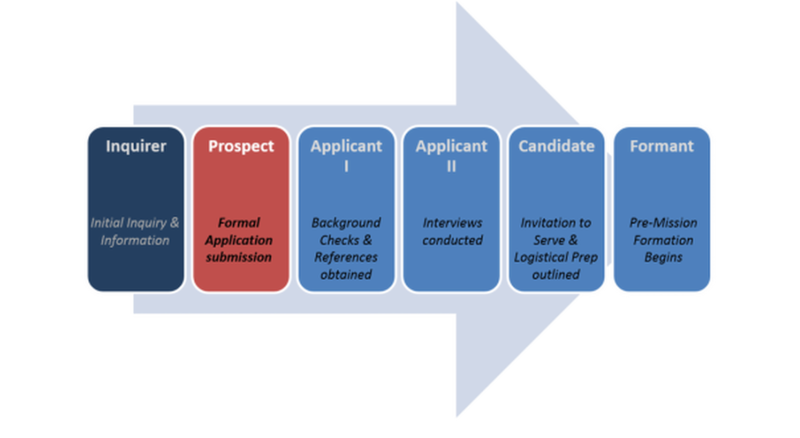 ​The next step in the discernment/application process is the background checks and references. Please send these completed forms back to Missioners, and we will submit them and cover all fees. While this paperwork can seem like a lot, we believe that by being prudent and diligent in how we go about this process, it will help us to find those who are called to this particular apostolate. We pray it does not come across as a burden as our goal is to make sure that we “discover” and prepare those God has called to serve with us in this ministry. Finally, at this juncture we like to have a conversation. Please provide some convenient times to speak by phone over the next two weeks, and we look forward to hearing from you as we move forward with this process.